If there's a lesson to be learned from Tales From Wyoming, and pop punk in general, it's that four power chords and a beer can's worth of charm can go a long way. 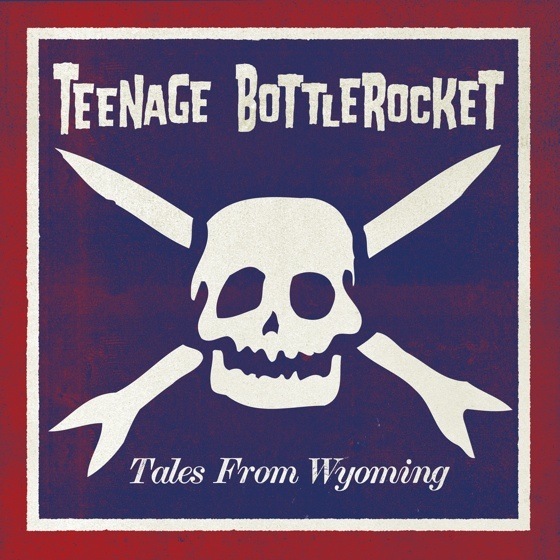 Over 14 tracks, Teenage Bottlerocket tune into the heart and mind of a teenage boy and come out raunchy, amusing and, for the most part, lovable. The cheeky "Nothing Else Matters (When I'm With You)" is a love story told through Metallica references; "Too Much La Collina" is about pizza; "They Call Me Steve" is about Minecraft; "Haunted House" is about a haunted house; and if George A. Romero and the Ramones were mashed together, you'd have "Dead Saturday."